Welcome to the Department of Computer Science and Engineering, Mahendra College of Engineering, Salem. The Department of Computer Science and Engineering was established in the year 2005, with state-of-the-art facilities for various laboratories, Wi-Fi enabled ICT classrooms to support e-Learning, and a departmental library etc., It has a long standing history of producing highly specialized Computer Science graduates every year. The department is supported by experienced and well qualified faculty members who witnessed the tremendous growth in academics and research. We have undergraduate programs – B.E in Computer Science and Engineering also has postgraduate programs – M.E in Computer Science and Engineering provides students with a broad range of choices. It has vibrant Associations like CSI, ISTE. The department has signed MOU with Infosys (Campus Connect) and consultancy to establish a strong Industry Institute Interaction. These are exciting times for computer and IT scientists as the discipline is now widely recognized as an essential source of tools and techniques for advancements in nearly all spheres of human endeavor. To become a department, producing graduates with good technical abilities in emerging areas of Computer Science and Engineering, through quality education and research. To provide exposure to students to the emerging technologies in Hardware and Software. To inculcate students with sound application knowledge. To establish strong Industry- Institute Interaction. PEO1: Core Competence Graduates will be competent to design, develop and solve Engineering problems and shall have expertise in programming tools. PEO2: BreadthGraduates will acquire the skills required to be employed in National, International and Government Organizations. PEO4: Professionalism Graduates will have the ability to present and practice team based projects with professional ethics and social responsibility. 1 Engineering Knowledge PO1: Apply the knowledge of mathematics science engineering fundamentals and mathematics, science, engineering fundamentals and an engineering specialization to the solution of complex engineering problems. 2 Problem Analysis PO2: Identify, formulate, review research literature, and analyze complex engineering problems reaching substantiated conclusions using first principles of mathematics, natural sciences, and engineering sciences. 3 Design and Development of Solutions PO3: Design solutions for complex engineering problems and design systems components or processes that meets the specified needs with appropriate consideration for the public health and safety and the cultural, societal and environmental considerations. 4 Investigation of Problems PO4: Use research based knowledge and research methods including design of experiments, analysis and interpretation of data, and synthesis of the information to provide valid conclusions. 5 Modern Tool Usage PO5: Create, select, and apply appropriate techniques, resources, and modern engineering and IT tools including prediction and modeling to complex engineering activities with an understanding of the limitations. 6 Engineer and Society PO6: Apply reasoning informed by the contextual knowledge to assess societal, health, safety, legal and cultural issues and the consequent responsibilities relevant to the professional engineering practice. 7 Environment and Sustainability PO7: Understand the impact of the professional engineering solutions in societal and environmental contexts, and demonstrate the knowledge of, and need for sustainable development. 8 Ethics PO8: Apply ethical principles and commit to professional ethics and responsibilities and norms of the engineering practice. 9 Individual & Team work PO9: Function effectively as an individual, and as a member or leader in diverse teams, and in multi disciplinary settings. 10 Communication PO10: Communicate effectively on complex engineering activities with the engineering community and with society at large, such as, being able to comprehend and write effective reports and design documentation, make effective presentations, and give and receive clear instructions. 11 Project Management and Finance PO11: Demonstrate knowledge and understanding of the engineering and management principles and apply these to one’s own work, as a member and leader in a team, to manage projects and in multi disciplinary environments. 12 Lifelong Learning PO12: Recognize the need for, and have the preparation and ability to engage in independent and life-long learning in the broadest context of technological change. 8 Ms. R.Vaideeswari Tata Consultancy Services, Chennai. The Department of Computer Science has a wide range of computing resources and laboratories available to support its educational and research work. Students access this infrastructure through a number of laboratories. A Research & Consultancy lab has also been established with high-end computer systems and peripherals with internet facility for executing research projects. Department is recognized as Research Centre by Anna University, Chennai and produced Doctoral degree holders in last 3 years. Department is granted with Permanent affiliation by Anna University, Chennai for B.E (CSE). More than 150 students have been trained in Infosys campus connect program in the last three academic years and certified by Infosys Ltd, Bangalore. Two Faculty members received Inspire faculty partnership awards in September 2017 from Infosys Ltd, Bangalore. Our department student Kamala Kannan.V got an ISTE Chapter Best Student Award in the year 2016 under Tamil Nadu and Pondicherry Section Indian Society for Technical Education, New Delhi. Our department student Karthiga.S got an ISTE Chapter Best Student Award in the year 2017 under Tamil Nadu and Pondicherry Section Indian Society for Technical Education, New Delhi. Alumni strength of more than 550 students and they are working in various industries. NPTEL Local Chapter is established for students and faculty members appearing for NPTEL online examinations in the year 30th March 2017. Faculty members have published more than 5 books. The campus connect program was aimed at developing the new strategies, techniques, methods and practical knowledge in students. At the successful completion of training, Certificate will be issued by Infosys along with Mahendra College of Engineering. GA Software Technologies specializes in executing custom and purpose-built enterprise services and solutions involving application development of a varying range of scalability in almost all technologies including Client Server, Web Technologies and ecommerce-enabled technologies. It is involved in Software publishing, consultancy and supply software, operating systems software, business & other applications software. They offer programs for the students to develop the application software and gaming software. 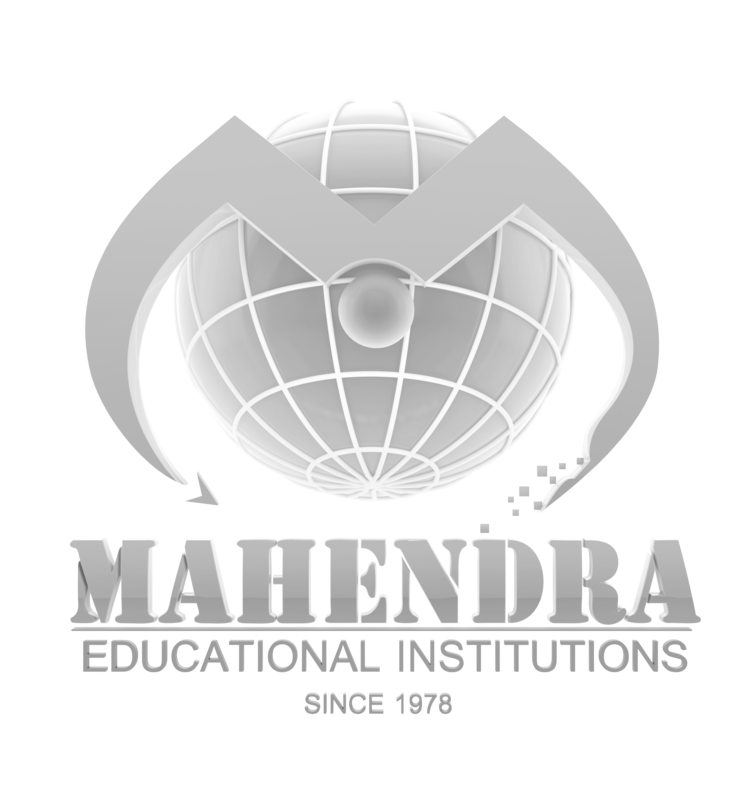 Mahendra Next Wealth, a leading IT & IT enables service provider is offering several programs for students to incorporate their knowledge in industry. It has offered a wide range of career opportunities, which has made a large number of students getting job in MNXW. Global Lab and Consultation, Salem. 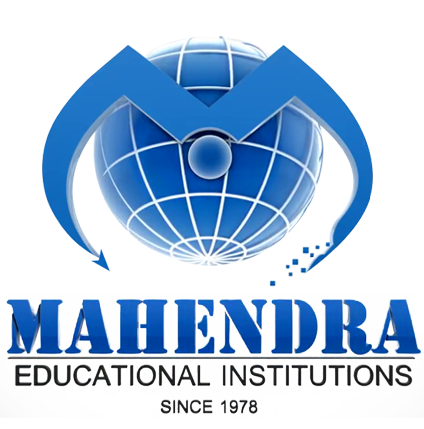 Mahendra Engineering College for Women, Namakkal. Corporate Social Responsibility (CSR), Government of Puducherry. Head- National Cyber Defence Research Centre, India. Dr.H.Lilly Beaulah & Mrs. P. S. Latha, " Programming in C ", Charulatha Publications, 2018, ISBN Number: 978-93-86532-73-2. Dr.H.Lilly Beaulah & Mrs. P. S. Latha, " Computer Programming", Charulatha Publications, 2018, ISBN Number: 978-93-86532-22-0. S.Andrews, "Problem solving and python programming",Thakur publications,2017. 1 Maha Ajay Spinners India Private Ltd,Salem Employee Information & Payroll Processing Students are trained in payroll processing. Program Students are trained in Foundation Program designed by Infosys to enhance the industry specific basic Knowledge. Students are undergoing industry based elective courses to enhance the employability skills. 4 ECIL-ECIT, Chennai Technology Development Programme Students are provided an opportunity to expertise in recent trends concepts. Program Students and Faculty members are exposed to the various opportunities available.